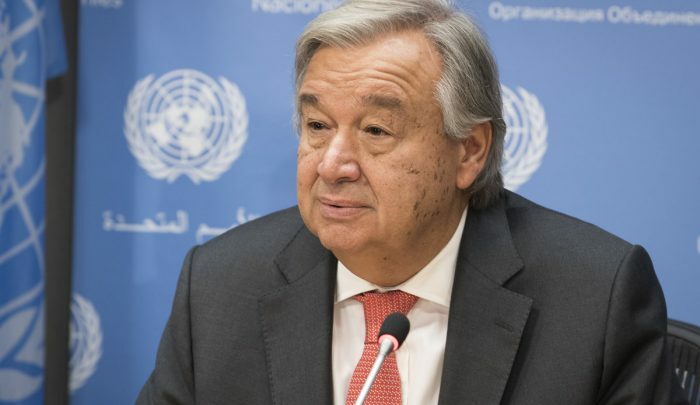 UN Secretary-General, António Guterres has condemned the attacks in Nigeria by Boko Haram on security forces and civilians, especially in Borno. Guterres, in a statement on Monday by his spokesperson, Stephane Dujarric, extended his “heartfelt condolences to the Government of Nigeria and to the families of those who have lost their life”. The UN chief said several other bases were targeted, according to news reports.“Those who violate international humanitarian, human rights and refugee law must be held accountable,” Guterres said. He lamented that the attacks came as “national elections are due to be held in February next year”.“The United Nations stands in solidarity with the Government of Nigeria in its fight against terrorism and violent extremism,” the UN chief said. In his reaction to the killing of military personnel in Metele village of Borno State, President Muhammadu Buhari had assured that immediate measures were being taken to ensure that the loopholes which led to the fatalities were blocked once and for all.